Verse 8 of our Basic Scripture say, “and all of them conspired together to come and attack Jerusalem and create confusion.” What do you do when men assemble themselves together to conspire against you, you family, you business or your ministry? WHAT DO YOU DO? See what Nehemiah and his supporters did in this scripture, Verse 9, “Nevertheless we made our prayer unto our God, and set a watch against them day and night, because of them” Let them conspire: TODAY and TONIGHT, YOUR GOD WILL SCATTER THEM! Don’t ever get into the business or accusing someone of conspiring against you. It’s a waste of precious spiritual energy. You will not be the first or the last person to pass through the “CONSPIRACY BITTER STREET.” Make your prayers to God: SET A WATCH AGAINST THEM and get busy with whatever God has called you to do. If the devil can divert your attention from your God-given assignment, he can ruin your destiny! That is the reason he will always raise people against you to conspire, confuse, hurt or distract you. Some of them unintentionally, MOST of them intentionally and willfully. But the answer against them is simple: Make your prayers unto your God and set a watch against them day and night! Join all ODM users tonight 12am-1am to make your “PRAYERS AGAINST CONSPIRATORS” to your God! Refuse to quit now! Refuse frustration and refuse to explain to everyone! Just stay with God and join all ODM users worldwide tonight and decree against conspirators! Never quit now! 3. I decree: Every gathering of people or demons against my destiny and advancement, SCATTER today and tonight in Jesus name. Pray it now/tonight 12am. READ ODM For Champions 20 October 2018- THE RAT POISON DRAMA: YOU WILL ESCAPE! Previous Post:Our Daily Manna 11 October 2018 – TOPIC: LET THEM SAY! 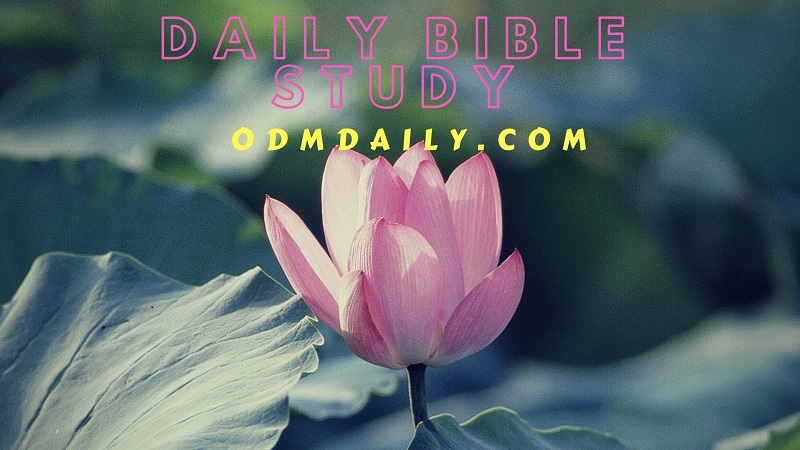 Thank you for the opportunity to subscribe to ODM daily devotion.